When I first heard about the new set-up for the Bee at Nationals, I was very skeptical...and didn't like it very much. Thinking about it though, I have changed my opinions. As you said, we can meditate more on what we are memorzing. Last year, with how many verses we had to learn, I felt overwhelmed and didn't always spend as much time thinking about what the passage was actually saying. This year, though, we will be able to do that better. Also, it will give me more time to study for the written test, which is what I lacked last year. I Agree with Bethany ... This will be my first year as a Senior and doing national level...and I'm excited! Did you know that seniors will have only about 700 memory verses?! That's a lot less than 1100! Anyway, good post Alex ! Thanks for the encouragement Alex! I was tremendously blessed by participating last year, and am looking forward to this year as well! Great post Alex! I know I believe that the decrease in memory verses was a good change. Two years ago when I did the Bible Bee I was the youngest Junior because the National competition happened two days after my birthday. Having to memorize a Junior leveled amount of verses, not to mention trying to keep up with the sword study, for a primary aged girl is pretty stressful! Do seniors really only have to memorize 700 verses now? Well written, Alex. Thank you. May I share this with others not on Memverse? Mrs. Vredevoogd - Yes, that would be great! Thank you. @Jess - I know! I'm a Junior but I can't imagine not having 500 verses! It was such a challenge and believe me - I LOVE challenges. 2 of my BFF's were in the video!!!!!!!!!!!! I'll have to send it to them unless they've already seen them. You've probably met them: Karen and Susan Weckler? Those sisters are 2 of my best friends! Alex, you're probably right - I do feel closer to God when I'm doing the Bible Bee and meditating more on the verses will probably "bee" for everyone. Great post Alex! This is my first year ever to compete in the Bible Bee. Our family ordered the material the year Bible Bee started, but I guess the amount of verses kind of scared me. :D Actually, I thought that if I competed, I only had to memorize the Level 1 verses. I was really surprised when I found out that there were 4 levels! :) I can't wait to start memorizing this year's verses! @BBJ12 - I'm a junior too! Maybe I'll meet all of you someday - maybe at Nationals! I agree with BethanyM, Alex: "Great post"
"More families — really all families — can have a structured time for family discipleship through the Bible Bee, memorizing Scripture, praying together, and studying the Bible." is the reason for the new structure. Now, though, it's up to all of us to spread the word. If each 2011 contestant family can recruit just one of their friends who thought the Bee was too difficult last year, we could have over 8,000 families this year! Don't we each know at least two families like that? @ChosenByHim - I hope so! Last year, I couldn't compete and I heard updates on MemVerse and from my friends and I was sooooooooooooooooooooooo sad I couldn't go. Last year, some of the meverse-users got to meet each other! I was so jealous! Maybe this year we'll all make it! I hope so!!!!!!!!!!!!!!!! @Tomwiddoes - I am trying to persuade one of my friends to do Bible Bee this year. She had never heard of it and so I'm trying to get her to do it in my version so we could study together! Oh, ok... oops! Thanks for letting me know, Josiah!! @Matthew Sinclair -- Three of my six siblings, and I are all signed up for the Bible Bee, and are quite excited about it :) There are 2 seniors and 2 juniors in our family. Let's see...for locals I came in 65th place, and 76th for Nationals. Great job on coming in 17th place! Four of our family is signed up for BB - Courtney, Brianna, Philip, and I. I am a Senior, Courtney is a Junior, and Brianna and Philip are Primaries. My rank last year was 26th for Locals, (EDIT: as a Junior) 32nd for Nationals. I'm signed up too. For locals, as a junior, I ranked 58th then 59th, after the kids on the east coast tested. For nationals I ranked 80-something, I don't remember my exact rank. :) I'm excited about doing the Bible Bee again too! My rank last year for locals, as a Junior Timothy Track, was 22nd place. BBJ12- you went to Nationals in 2010??? Awesome guys thanks. @Rachel: that's cool that we both were KJV Timothy track juniors and ranked within 5 places of each other nationally! Our family just signed up for the Bible Bee for the first time! I'm very excited about it. Does anyone who's done it before have any advice for someone who's never done it? @AstroLeah: Plan to go to Nationals, even if you don't qualify. They make it a phenomenal experience for the whole family! I've told people that it should be your family vacation for the year -- it's that good! @Mr. Alexander -- I agree with you completely! @AstroLeah -- Even if you don't go to compete, you'll still be very encouraged. It's amazing being around other believers who love the Lord for 4 days straight! For anyone not thinking of going for Nationals, GO FOR IT! I have been tremendously encouraged every time I have gone. The adrenaline is amazing, and the pleasure of meeting likeminded families who have a passion about memorizing God's word is like nothing else in the world. @ Matthew Sinclair: I think I was 29th in Senior Locals last year, and 23 at Senior Nationals. Exact ditto to what you said about the Nationals for the BB, Thomas Youngman! The national competition last year was amazing and very encouraging! Anyone, even if you don't make the Nationals, you should go to it anyway! You won't be disappointed! this is my last year as a Junior. in 2011 I placed 152. In 2010 I placed 182. Bible Bee registration has been extended through tonight at 11 p.m. PST. The Sword Study this year on 2 Timothy is awesome, and so are the verse cards (infallible words of God that they are -- 2 Tim 3:16-17). If you haven't registered, now is your last chance!! 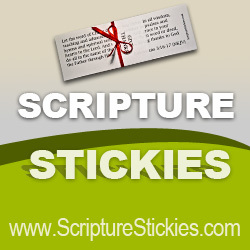 My wife Jacky just put up all the 2012 Bible Bee verses on Verse Hero at www.impresskids.com under the Memverse Scripture Memory group. This is free to all. Enjoy and may it help you master some new Scripture this summer. Please spread the word to Bible Bee people you know as we can introduce others to Impress Kids and Memverse. We are now working on Study Stack, prompterizing, and First 5 words. The Bible Bee is so great, and I love it. @All juniors: I just wanted to make you aware of something. In the Junior Sword Study book they made a mistake. In the apply section week 2 day 3 they want you to figure out the message. They had part of the key to figure out what it meant but they didn't have the message if you go to this link: biblebee.org/junior_sword_study/ and then find the right day it will give you everything you need to figure out the message.